And breath – The toughest part of the year is over. The hard work has been done and your polytunnel should start to wind down. There’s still plenty to be done but not with the same urgency as in the Spring/Summer months. Keep harvesting, the fruits of your labour are still there to be enjoyed! After your main harvests have been gathered in, October can be a period of calm in your polytunnel, a slight pause of sorts between the summer crops and the winter ones. This can be a good time to clean your polytunnel. Take the time to give it a quick once over, even if it does not really look like it needs it. You will be amazed by the results. One of the advantages of cleaning your polytunnel in the autumn is that your plants will benefit from the increased light level as the days get shorter and light levels decrease. Algon Organic is great for cleaning your polytunnel, and is safe to use around your food crops. You can also take the opportunity to have a spruce up inside your polytunnel, to reduce problems you may have over the colder months with pests and disease. With fewer growing crops occupying the space, it’s easier to have a good tidy up and repair any damage before the harsh winter months make things worse. Polythene Repair Tape is excellent for repairing tears in Polytunnel covers or polythene sheets on Polytunnels, Mini Polytunnels or Cloches, etc. This tape is transparent allowing light transmission and is UV stabilised making it resistant to weathering and will normally outlast the polythene cover. It can also be used to repair cracked panes in Greenhouses! So it’s always handy to have a roll knocking around…just in case. 1. 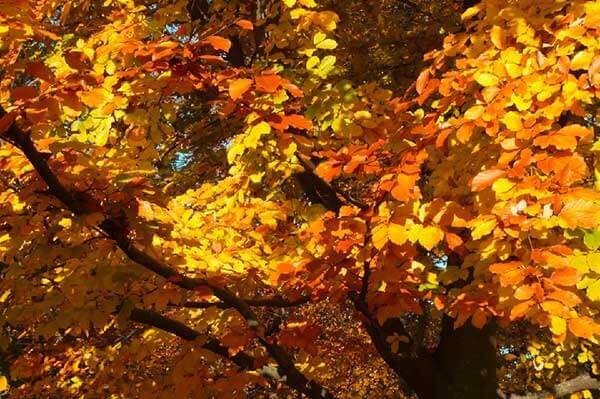 Things will start getting chilly soon, so check and overhaul your heaters ready for when they are needed again. You will find a selection of both electric and propane gas heaters, for use with polytunnels and greenhouses at First Tunnels. 2. If you’ve planted winter crops, remember to reduce ventilation and watering to reflect falling temperatures. And remain vigilant about checking for disease and removing tired plants. 3. When cold nights are forecast, give tender young plants the added protection of fleece and cloche hoops or a mini Polytunnels – Inside your Polytunnel, a bit like double glazing! Tea lights can also really help with localised heating. 4. 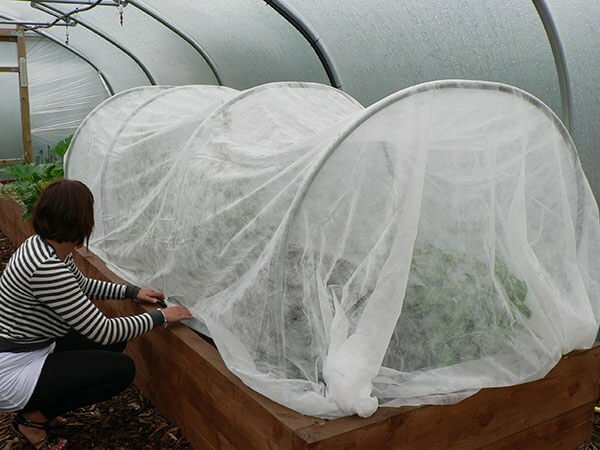 Tidy up……watch out for pests and diseases, keep Polytunnel doors closed in string winds AND keep harvesting!